We all recognize a barcode when we see one, but knowledge of the barcode or thermal printer behind that prints these barcodes is less common. 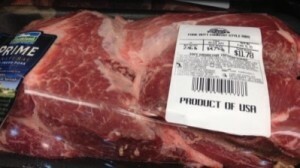 Think of the last time you purchased cold cuts from a local delicatessen or supermarket and saw the barcode label sealing the package, this label was printed on a barcode / thermal printer. Ever order something through the Internet and receive it in labeled box? 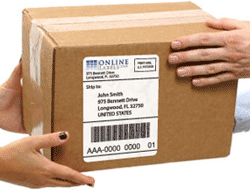 These shipping labels were printed by a barcode or thermal printer as well. In a nutshell, thermal barcode printers take blank or partially preprinted labels and print variable information on them which often includes a scannable barcode. So what is a Thermal Transfer or Barcode Printer? A Thermal Transfer printer is sometimes referred to as a barcode printer; which is a non-impact printer that uses heat to register an impression on paper or a thin film material. A thermal transfer printer has a print head containing many small resistive heating pins or cells that on contact, depending on the type of thermal transfer printer, melt wax-based ink onto ordinary paper or burn dots onto special coated paper. A microprocessor determines which individual heating pins are heated to produce the printed image. The print head spans the entire width of the paper or medium to be printed on. Thermal transfer printers are popular for printing bar codes, labels, price tags, and other specialty print jobs. There are two types of thermal transfer printers: direct thermal and thermal transfer. Direct Thermal Printer: A direct thermal printer prints the image by burning dots onto coated paper as it passes over the heated print head. Direct thermal printers do not use ribbons. Early fax machines used direct thermal printing. The paper has a special coating that turns black when heated. Thermal Transfer: This type of printer uses a thermal transfer ribbon that contains wax-based ink. Heat is applied to the ribbon using a thermal printhead (same as in a direct thermal printer) that melts the ink transferring it to the paper or film substrate (labelstock where it becomes permanent). A typical thermal transfer ribbon consists of three layers: the base material, the heat melting ink, and the coating on the print side of the base material. The ribbon type will vary depending on what you need printed. There are countless applications for thermal printing from healthcare to ticketing. We here at Apogee Industries service more of the B2B applications such as manufacturing, warehousing and shipping / distribution applications. Apogee is an authorized distributor for SATO thermal printers. SATO is a Japanese brand printer that is recognized as one of the best in the world. They are considered as the “Toyota” of thermal printers, with a worldwide brand and outstanding value with unsurpassed dependability. • Installation help: Apogee will install, set up and train you on your thermal printing needs working with you directly or with third party integrator. • Service & Repair: Apogee not only sells parts, we are one of the few label companies to repair and refurbish your printer. • Spares: If you are stuck and can’t afford downtime we will swap you a spare while we fix your old printer. • Label Recommendation and Printing: Since Apogee is primarily a label printer we will help you make the best decision on your label or tag needs – we KNOW what works! !